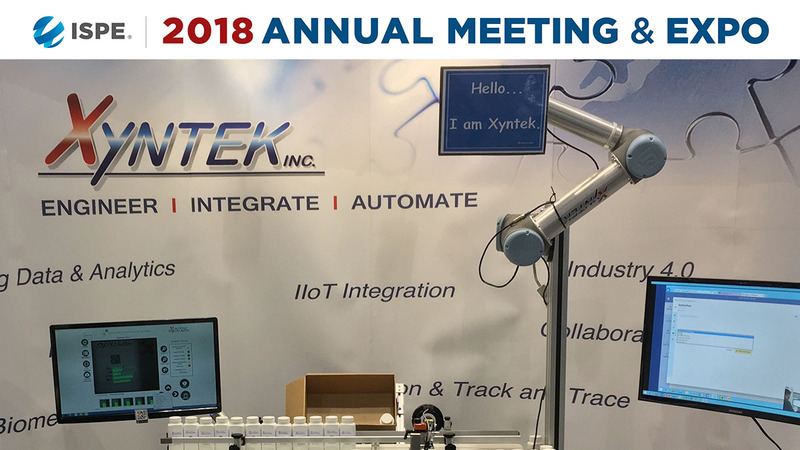 Join Xyntek for live demonstrations of our Collaborative Robot, Machne Vision, and Biometric solutions at ISPE's 2018 Annual Meeting and Expo at the Pennsylvania Convention Center in Philadelphia, PA. ISPE, the International Society for Pharmaceutical Engineering, is the world's largest not-for-profit association serving its Members by leading scientific, technical and regulatory advancement throughout the entire pharmaceutical lifecycle. Enjoy four days of technical workshops, training classes, regulatory updates, and networking events. At the Expo, Xyntek will be highlighting our Industry 4.0 and automation solutions that are helping our clients increase their Overall Equipment Effectiveness (OEE) in their manufacturing lines. Please stop by Booth #406 to see how Xyntek can solve your automation needs.